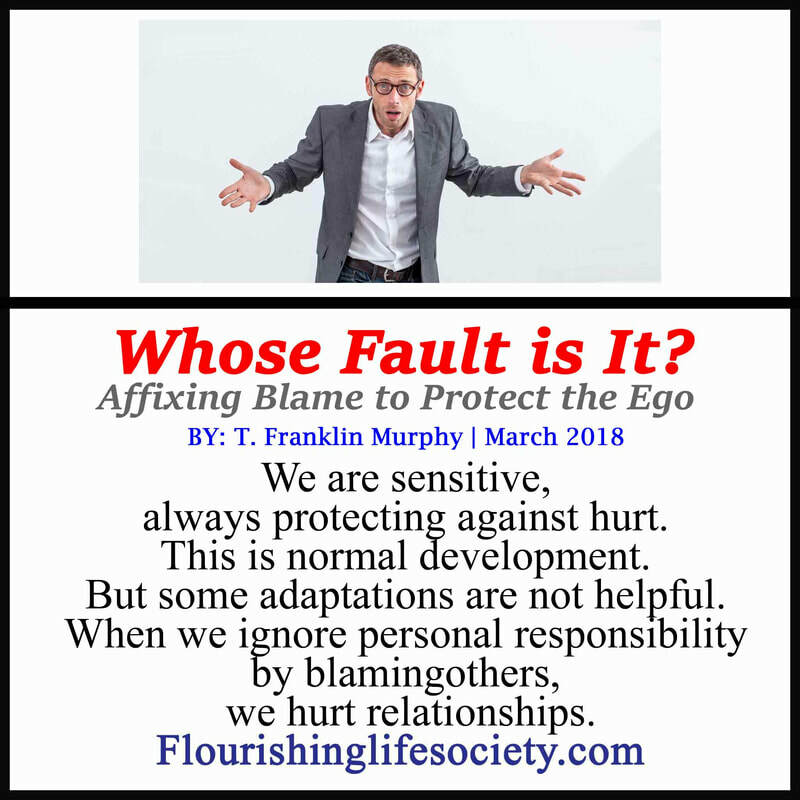 The blame game intrudes on closeness to protect the ego; intimacy isn't found here. 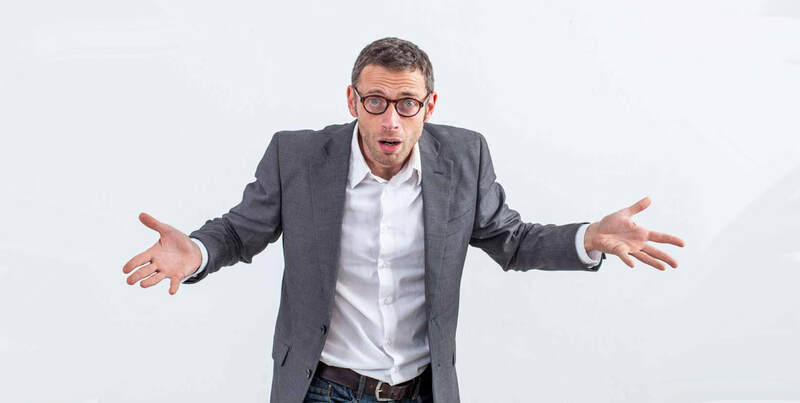 We disconnect from reality, seeking philosophies that self-soothe, justifying our weakness, and pushing the responsibility outside of our realm of control. This narcissistic atmosphere blatantly expects the universe to bend, obliging to our desires. Personal responsibility bores the ego, bogging down dreams with realities. Encouragements to act, make personal assessments, and implement adaptive changes lacks the brightness of glorified perceptions of self, we stubbornly cling to during our early adult years. Relationships struggle when discomforting emotions can’t be endured. The emotional immature seek escape from discomfort. “I feel bad; something is wrong, someone needs to change.” The discomfort urges answers and invites blame; often pointing to the partner. But discomforting emotions have many causes; relics from painful pasts; normal pains of change; rumbling insecurities. Fears, insecurities, and inability for closeness continually resurface; no matter how graceful a partner. Projecting past troubles on present experiences prevents us from addressing internal causes—often the real culprits. Even when a partner compassionately responds, the internal issues remain—because the cause isn’t them; it’s us. The cycle is depressing. Those blindly stuck in the arc keep address the wrong problems, never discovering helpful resolutions. Blaming others relieves present discontent; but the personal irritant remains embedded in the psyche. We must dig deeper to extract these nasty emotional thorns. Mindfully watching our interactions for the dysfunctional patterns. Notice the triggers, emotions and responses. Identify the constant nagging but acceptance of each other’s dramas (see entangled relationships). The debilitating patterns must be acknowledged before meaningful changes can begin. Positive changes surprisingly feel wrong, disrupting the comfortable mindless cycles of dysfunction; the changes (no matter how healthy) may incite fear—or anger. Healthy action forces reactionary changes—growth or destruction. Personal growth requires protective boundaries, lines that can’t be crossed without consequence. If we are alone in the intent to change, our resolution will be challenged, boundaries purposely crossed, our seriousness tested. "Fears, insecurities, and inability for closeness continually resurface. No matter how graceful a partner is." When boundaries are disrespected, we must respond; without consequence to violations, boundaries have no meaning. We can’t strengthen personal boundaries and not enforce the violations. Often partners won’t willingly accept changes, especially if they enjoy the comfort of how things were. Boundary enforcement sometimes destroys relationships firmly entrenched in disrespect. Boundaries threaten with an unspoken consequence. A boundary suggests we will enforce violations of independence; we show self-respect even if that means we must leave. A choice must be made between remaining stuck or courageously stepping into the unknowns. But many fear this path. Blaming, nagging and then accepting the chaos appeals to many; not requiring painful and courageous autonomy of self. We can forever drift in the dissatisfying relationships, pointing fingers, dodging accusations and living miserably ever after.